Jack Sunstream, what a great name. Seemingly we have signed a new striker. Loan deal from Clyde. He was at the Neilston game at the weekend. I haven't seen any confirmation of this anywhere. 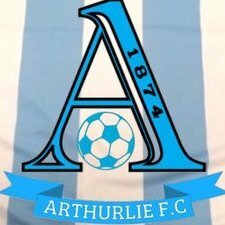 Any fellow Arthurlie fans heard anything? Got told by a committee man that the lad has signed until the end of the season. He played two trial games with the black and white shite and scored three goals but Mr McInally did not rate him. How is the lad that got carried off on Wednesday night? It looked like a bad one? Pure and simple, like I would imagine every other team is aspiring to. one of the promotion places. I heard the same rumours, seems like a great bit of business by Arthurlie. I wish he wasn't, constantly Arthurlies best player last season. Yes, still at the lie, out injured at the moment. Maybe if the original statement from Arthurlie had been worded slightly better then this situation might not have arisen. Potentially a big club? A sleeping giant. Other than Ryan McGregor who else has chucked it? I had a wee chuckle at your user name, is it something to do with pubic hair? Pish, remember Willie Irvine and the contracts he had players on? Stop treating folk with contempt. Pollock have one of the highest budgets in this league and I can't see that changing in the near future. I have absolutely no issue with the amount of money your club spends on players but please stop talking pish.